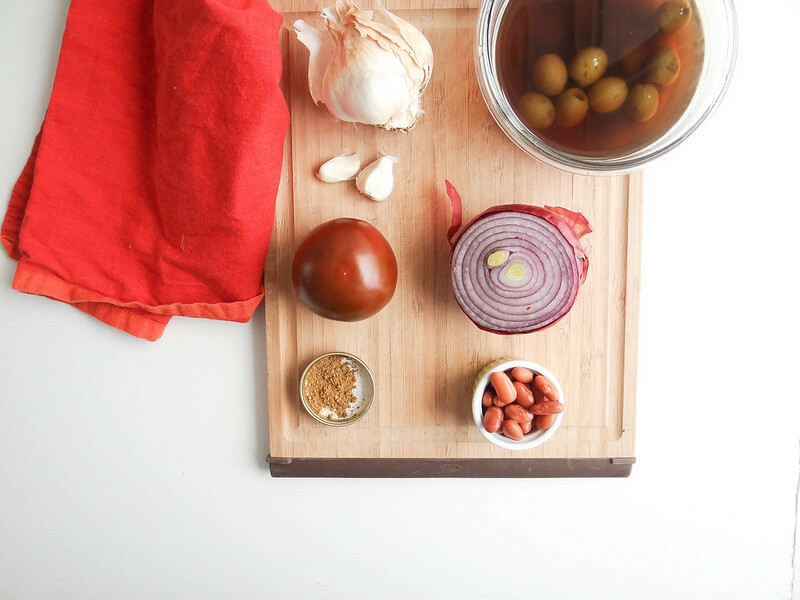 This recipe is so awesome, especially if you are short on time. A few days during the week I am home later than typical due to a couple late night classes at the health club - I just started a new Barre class (ummm side note, has anyone tried this class out? It took me 4 days to recover!!!! It never takes me that long to recover - this class is pure craziness!) that ends at 7pm, which means I am not home until 7:15pm or so......so my point is; I want dinner on the table and in my belly like yesterday. 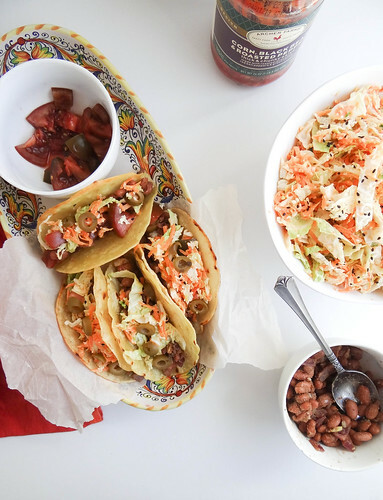 Well, if you have the slaw in your fridge ready to go it does only take a matter of minutes to get dinner on the table, which makes me and my belly super happy. 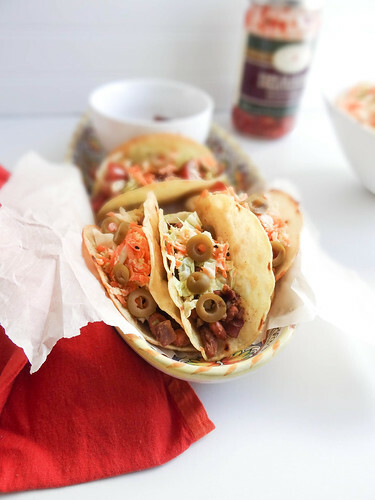 While the beans are quickly cooking away, you simply prep your fillings & fry up come corn tortillas- in our case we chop up some fresh tomato & green olives and dish out a bit of prepared salsa and already made slaw. To make it even easier you can skip the corn tortillas and replace with flour tortillas- personally I love corn tortillas, they are worth the extra few minutes it takes to fry up a batch. 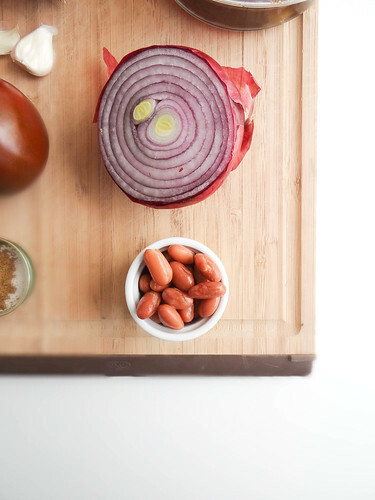 Lime, cumin, garlic and red onion are the main flavorings for the beans- for added heat toss in some chipotle in adobo or chili pepper. A bit of water is added to help with the moisture content, canned beans or great in a pinch or if you have a batch in your freezer / fridge even better! 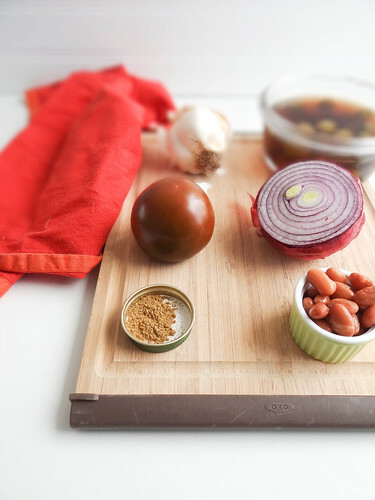 Black , navy or kidney beans would also work really well in place of the pinto beans. Quick, easy, filling and delish- what more do you need in a weeknight meal? Plus they're TACOS- who doesn't love Tacos? If you don't you must be crazy....just kidding, sort of. In a medium fry pan heat olive oil over medium heat - saute garlic and red onion until translucent. Add cumin, beans, sherry & water. Reduce heat to a simmer and cook for 5 - 8 minutes. Add lime juice, keep warm until ready to serve. In another fry pan, heat canola oil over medium high heat- working with one tortillas at a time pan fry each side until golden brown. Remove and repeat. 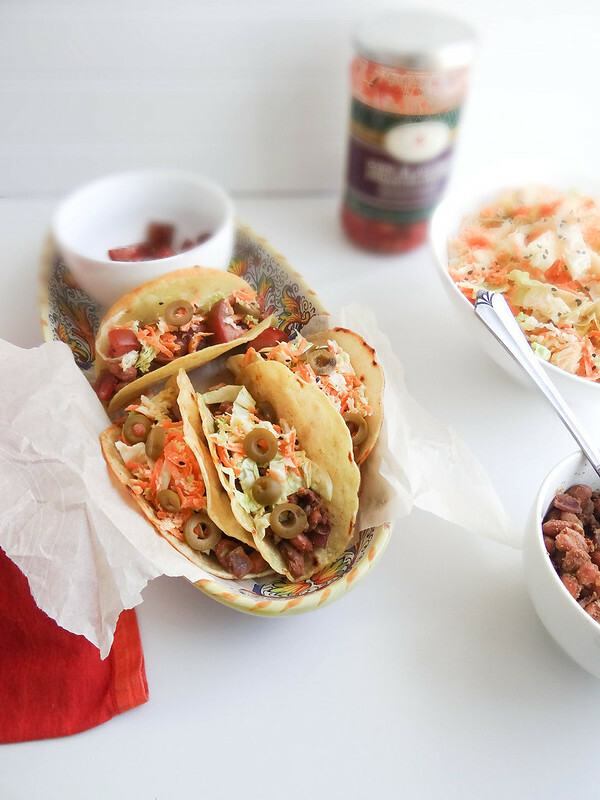 Fill tacos with beans, slaw, tomatoes, olives and salsa. Taco everything, looove! I so agree about Barre class, even my neck muscles hurt after taking one! Seriously, before my first class I was like this will be a piece of cake so relaxing- yeah, 5 minutes into the class I was dripping sweat and had the shakiest legs! I was actually looking at that class the other day... now I'm scared! Not scared of these tacos tho, they look delicious! Do it Barb! It totally gets better the more you do it, I can actually walk across the room to get my Pilates mat without feeling like my legs are going to collapse- it is one of my fave classes now! I looove the looks of these! 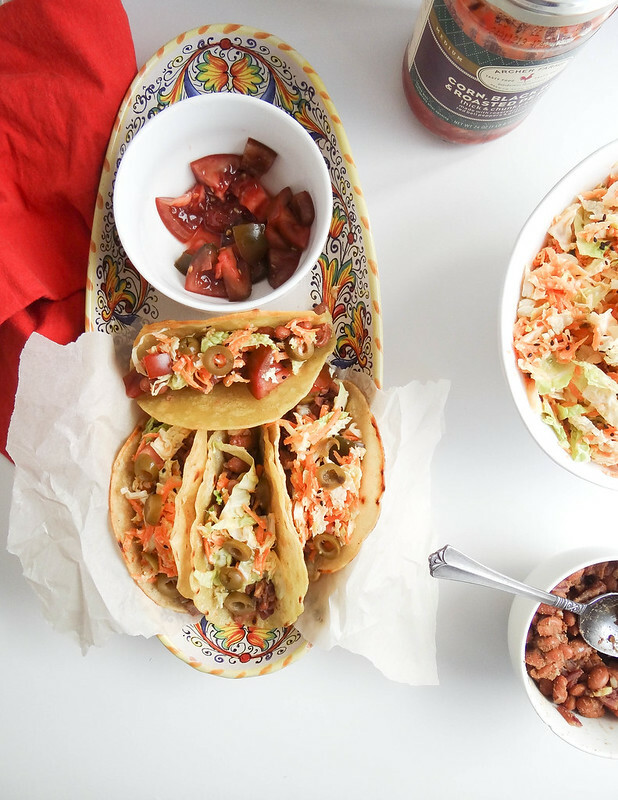 Totally fabulous for the season...plus, taco-fying everything is the best. 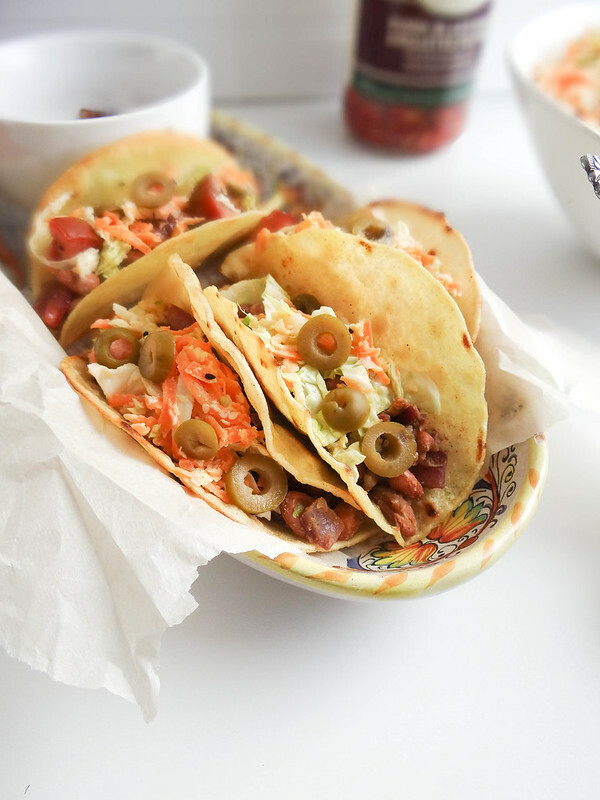 these tacos look fabulous! i want dunk my face into that Napa Sriracha slaw! Definitely gets better after the first couple of classes- it is one of my favorite workouts now! Practically everything is awesome wrapped up in rice paper, why not! 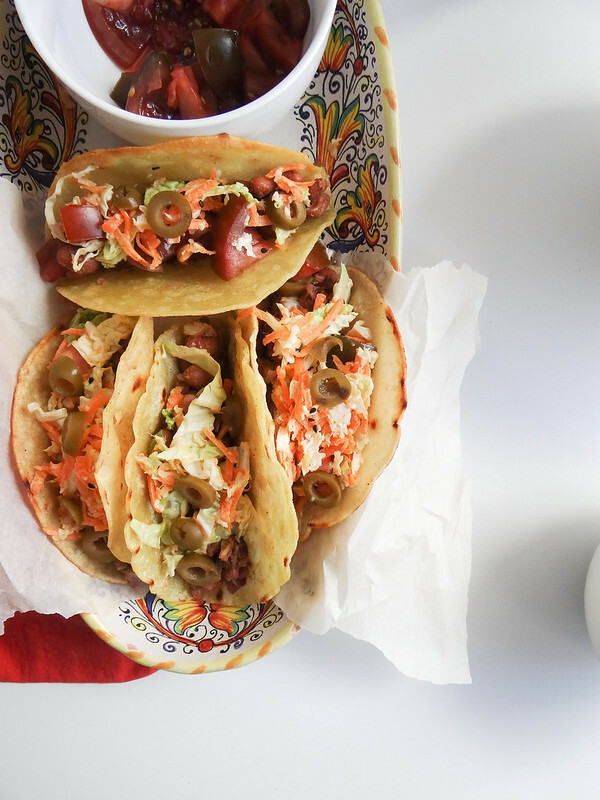 Made these tacos just as you prescribed and they were delicious!! 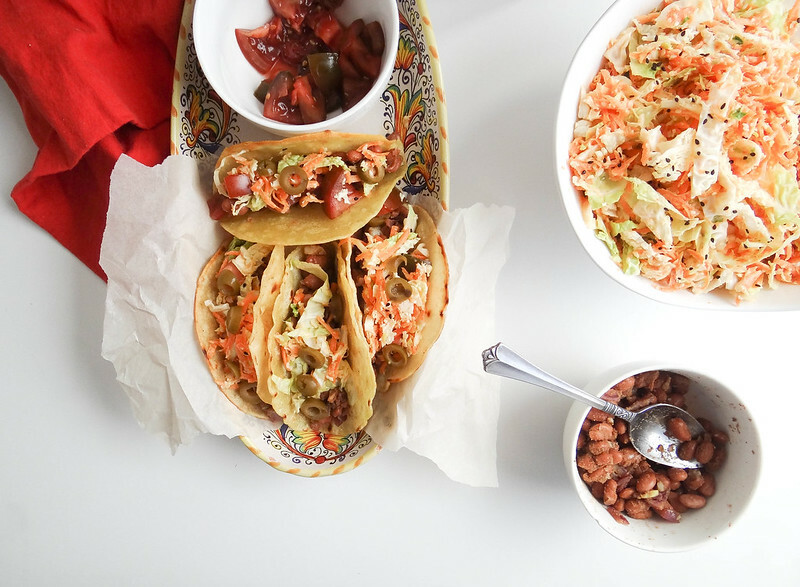 Loved the sriracha slaw - it added a delicious and healthy crunch! I've never tried a barre class, but I know what you mean about getting home late from the gym and wanting dinner right away - sometimes I don't even want to shower first! Easy meals with pre-prepared components are definitely helpful. I never think of making tacos for myself at home, but that should change! Would you be able to post your recipe for the corn tortillas? I looked through some of your other posts but didn't find it. I'm not vegan but into healthy eating and these look fabulous! Hi Stephanie! Thanks for dropping by :) I actually purchase my corn tortillas (trader joes) and fry them up in a pan with some canola oil until both sides are a bit golden and starting to crisp up a bit. I have a tortilla press but have yet to make my own tortillas- it's definitely on the to do list! Oh, my gosh, these look AMAZING! I love it that you fry your own shells too. These must be incredible!